There may be myriad ways to test a material’s quality, but that doesn't mean they're always readily available to designers. As we work on the business of inventing the next new thing, it's tempting to lean heavily on our material suppliers and manufacturers to take care of that process for us. But that can be a risky game to play. Once, I worked with a manufacturer that used a lower grade of aluminum than I'd specified. Luckily, we noticed the switch because a design feature failed during testing. But if we hadn't gone through the testing process, we may not have realized that the material was subpar until it failed in the field. The defects could have killed it. As a designer, it’s so important to find and work with a trusted a supplier who provides quality materials that will perform as well as they need to. Depending on the specific design you're working with, poor material quality might not make the product completely defective. However, it could cause premature surface aging, fading, cracking, tearing, or breaking. In the best-case scenario, it will work, but it definitely won’t perform as well as advertised. In my product design career, I’ve had materials fail, break, delaminate, crease, make noise, and create too much or too little friction due to poor quality. Most of us have at some point. When product costs are an issue, it can be especially tempting to ignore these pitfalls. But if you have a brand image to preserve, the poor product material will cost much more in customer loyalty. If you’re lucky, you’ll detect the poor quality of your design’s material before it hits the market, but even then, it won’t be until late in the design development process. Your options for fixing it will be limited and could require design changes, include additional costs, and cause time delays. These delays hurt worse if the product’s launch date has already been set, and they’re especially disheartening when they result from poor material choices. Of course, no material can do everything, and even the highest-quality options have reasonable limits. That’s where our relationships with material suppliers and manufacturers become so important. To grow your business, a trusted supplier can draw on decades of experience to make sure you always get the best quality material for the design. Developing products with subpar material quality is frustrating for designers, but it’s even more so for the end users who spend their money on those products. They say if consumers like something, they don't tell anyone, but if they hate it, they're sure to tell at least 10 people. Whether a brand’s products are defective or don’t reach their launch date because of poor materials, that failure resonates with the brand’s target consumers, their friends and family, and their social media audiences. Because we rely on material quality so much to make great products, PopFoam has quickly become one of the most well-respected providers of high-quality EVA foam. It not only molds the foam, but also manufactures the raw material so it can tailor the formula to meet every designer’s unique application. Injection molded EVA foam is a highly versatile, closed-cell material that can be customized for a wide range of designs. The foam can be made soft, hard, lightweight, heavyweight, rigid, or flexible — all without comprising quality and durability. These tactile details directly relate to the consumer experience. We hear a lot about brand experience, and it all comes down to consumers' expectations of a product compared to how well it actually performs. A material’s functional and aesthetic qualities are huge parts of that experience. Therefore, it's all the more important for designers to be selective with their material quality and who they do business with. 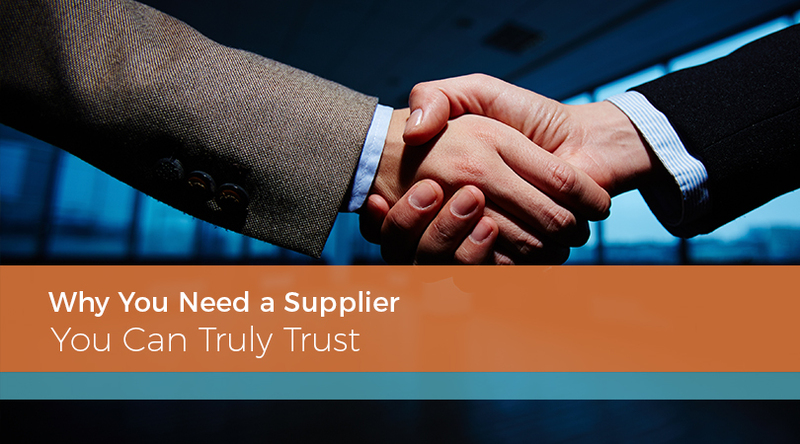 If you want to launch a successful product, find suppliers and manufacturers you can trust.